Bengals running back Rex Burkhead had the chance to get some action late in the Thursday night preseason opener against the Falcons and took advantage of his opportunities. 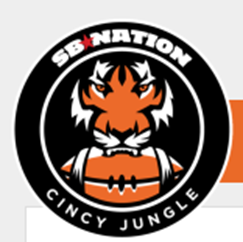 Coming into the 2013 season, all of the attention and fanfare, from a Bengals perspective, was placed on running back Giovani Bernard. It's not as if that sentiment isn't understandable, given that he was the first back taken in this year's draft and is expected to give the Bengals a nice punch in the running game with his shiftiness and speed. 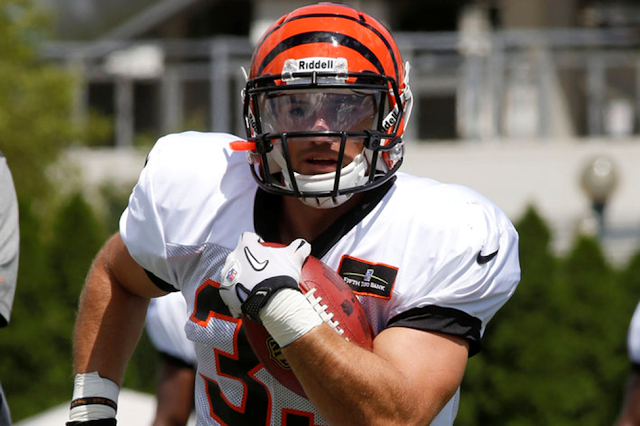 The Bengals drafted another running back this year in sixth rounder, Rex Burkhead. The former Nebraska Cornhusker received some attention as well, though most of that centered around his philanthropic efforts with a youngster battling cancer in Jack Hoffman. Even though Burkhead has done some awesome things in that family's life, he was also a productive college player. When the Bengals allowed Brian Leonard to leave in free agency this offseason and drafted Burkhead, it seemed as if there would be a smooth transition. And, even when Burkhead was doing the right things in Training Camp this year, he just wasn't focused on because of Bernard's play. He received his chance in the latter part of Thursday night's beatdown of the Falcons and made the most of it. On offense, Burkhead led the running backs in both yardage and yards per carry. Though backup quarterback Josh Johnson was the overall leading rusher, Burkhead performed well and had Jon Gruden gushing in the announcing booth about his hard running style. On nine carries, Burkhead churned out 52 yards to the tune of almost six yards a carry. His long gain of the day was 15 yards and that wasn't his only nice run of the day. What impressed me was the quickness that Burkhead showed when hitting a hole. Though he's a slasher and can be a north-south runner, he does have some elusiveness to him and doesn't shy away from contact when finishing a run. The one thing that I wished that I saw more of from him was his pass catching ability. If he truly wants to be the Leonard replacement, he'll need to flash that ability at some point. Beyond that, Burkhead assisted on special teams. He recorded a tackle on a punt and was a staple in the coverage unit on Thursday. All in all, it was a solid day for the rookie back and he made some good headway towards becoming one of the backs on the final roster.